I have been too busy to follow much of anything for a few days, but a concern has been raised to me that the $200 million agriculture loss from isolated conveyance reported in the post below and a newspaper article is an exagerration because it reflects a heavy pumping scenario, not what is actually proposed in the current BDCP. This is a good point, and I agree that a "would" should have been a "could" or presented as a range and I take responsibility for that slip. It will be corrected in presentations later this week, similar to what is written below. "If operated as proposed in the draft BDCP, isolated conveyance would decrease Delta agricultural production by about $50 million, and would have a negative impact on tourism development and the rural quality of life. If a large isolated conveyance were operated to maximize water supplies, south Delta salinity could triple and agricultural production losses could increase to $200 million. The higher scenario illustrates the risk of a large capacity conveyance to the Delta since there will be financial and political pressure to increase exports to high levels." I also emphasize that it is a draft, results continue to be refined, but that the impacts are in fact very consistent with those Prof. Howitt estimated in 2007; $70m loss, up to $200m in high scenarios. Not much difference in this number, but the adjectives we use and our overall view of the situation is very different. I don't intend to post every little update and revision to this report as it progresses through drafts, but felt this clarification was needed now given a concern that has been raised. Update: There was a typo in the original post, the upper level of salinity loss is $64m but was originally reported as $54m. As some ValleyEcon readers know, I am the PI on the Delta Protection Commission's Economic Sustainability Plan (phase 2). The first administrative draft of the ESP report was posted this afternoon in preparation for a DPC workshop at the Port of Stockton on June 23. This contract was only awarded in March, and a stellar research team has been working hard to get us to this point in under 3 months. It is work in progress, and some portions are incomplete. Interestingly, I just discovered the Department of Water Resources released the Delta Risk Management Strategy (DRMS) Phase 2 report on Monday when searching for a tidbit of information from DRMS Phase 1. 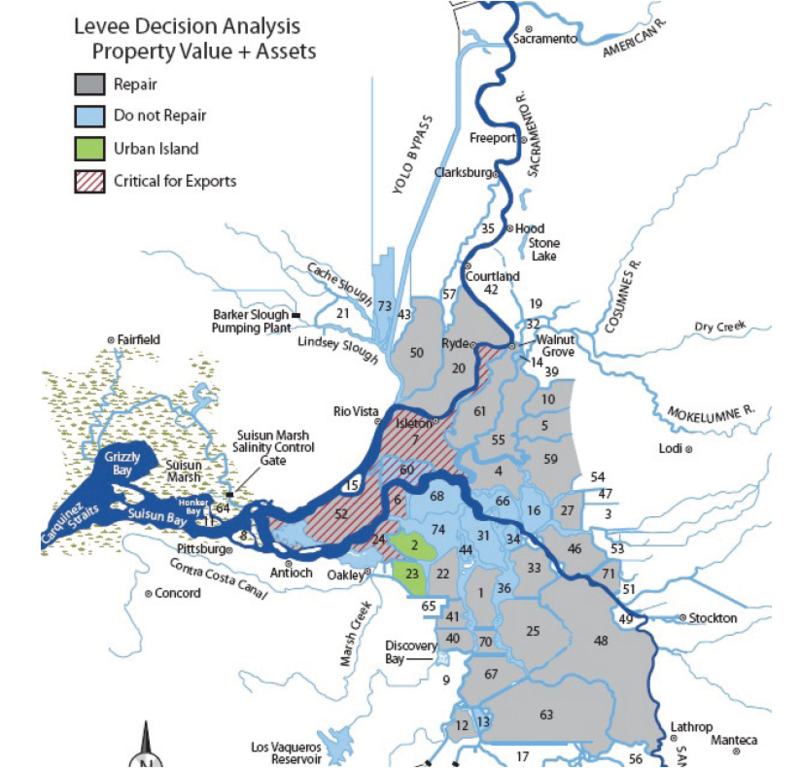 June 13, 2011 - The Department of Water Resources has released the Delta Risk Management Strategy Phase 2 Report and Executive Summary. The Delta Risk Management Strategy (DRMS) Phase 2 report builds on the knowledge gained from the DRMS Phase 1 assessment to evaluate scenarios which could reduce the risks to our State economy. The methods include a selection of improvement strategies considered at the time of the study in 2009; however, today, there are more options in play. 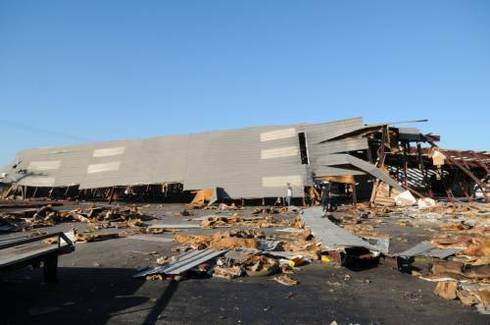 The information in the report provides insight to methods that may be used by the Department and others to manage risk. Among the obvious signs that the study is from 2009 are that it uses a $4.9 billion cost estimate for a peripheral canal that is dated from 2007. 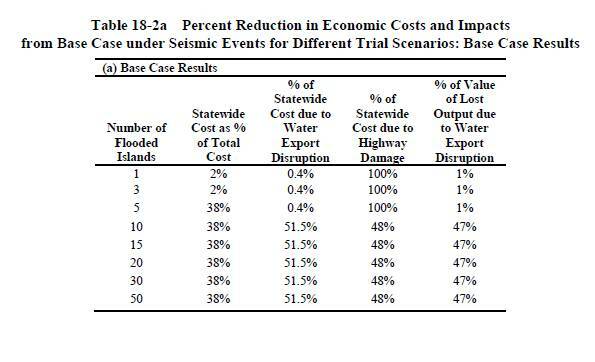 The results, and I have not reviewed to see how reliable the calculations are, show that improved levee strategies and isolated conveyance rank very close, and anyone who would interpret the results as saying isolated conveyance is best should realize that any net benefit advantage from isolated conveyance completely disapears if one uses more current cost estimates. There are many other curious aspects of the report, such as its combining conveyance scenarios with putting highways on piers and armored infrastructure corridors that confuse the issues. At this point, the phase 2 report will probably have little impact on the debate. However, it is hard to use the DRMS Phase 2 results to justify a peripheral canal over upgrading levees in the way that many spun Phase 1. The timing and low profile of this release is probably the most interesting aspect of it. Very odd. I would be interested in hearing more about that if anyone knows and is willing to share. Since Devin Nunes introduced H.R. 1837, I don't think a day has gone by when someone hasn't asked me to write a letter, op-ed, blog, press release, t.v. show, speak at a meeting/hearing, etc. I've even had people try to make it easy for me by sending ghost-written letters and op-eds for me to approve complete with folksy quotes and flattering self-references (sorry, but I write my own stuff). I did have an intern call his office a few times to get a source on the 25,000 to 30,000 jobs created claim in the bills press release and promotional materials, but we never got a call back. I think I saw the fisherman respond by pulling their own billion dollar propaganda back out, and it makes me feel as if the debate has taken a few steps backwards to a place I thought we left behind. I typed up a FAQ style handout for a meeting earlier today, and posted it to our website here. Not much new information, but hopefully this format is useful to the folks asking for something new. So, what do I think of the bill anyway? I have been interested in all the comments about how Nunes is undermining the BDCP, suggesting that his bill is bad for his own constituents. Yes, he is undermining BDCP, but BDCP isn't shaping up to be a great deal for South Valley agriculture anyway. The costs are much higher and the additional water is much lower than they thought it would be when the originally signed on to look at it. I think South Valley ag. is better off under the current biops (less water than they want, but at least most of it is cheap) than under an unsubsidized BDCP (a little more water, but all the water is a lot more expensive). If that's the case, then the best strategy for them is to try to change the pump operations through legal and political channels.